Craving the cinnamon-sugar-fruity goodness of a cobbler without the heaviness? 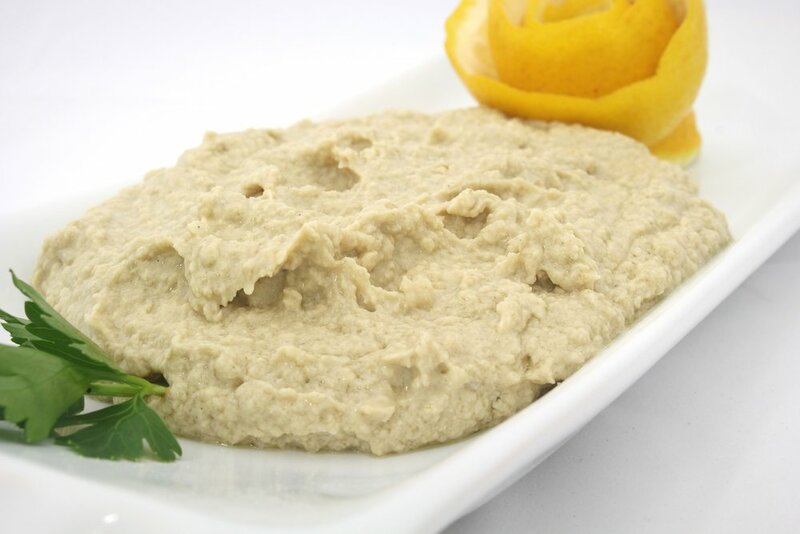 Want to satisfy that craving & make your taste-buds dance without the hassle of rolling out dough or waiting forever for a cobbler to cook & cool? You’re gonna LOVE this recipe! 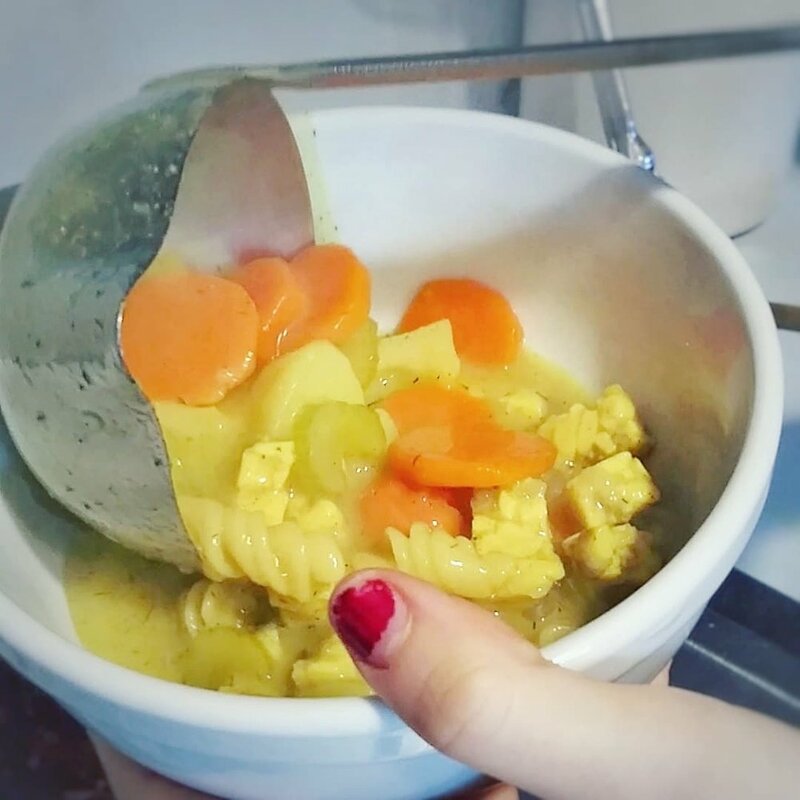 Chicken Noodle Soup without the chicken? You must think I’m crazy, right? I promise this recipe, even though it sounds silly, will not disappoint. This Pumpkin Coffee Cake is a great accompaniment to your morning coffee or tea, makes a tasty afternoon snack and pairs nice with cashew milk ice cream in the evening. 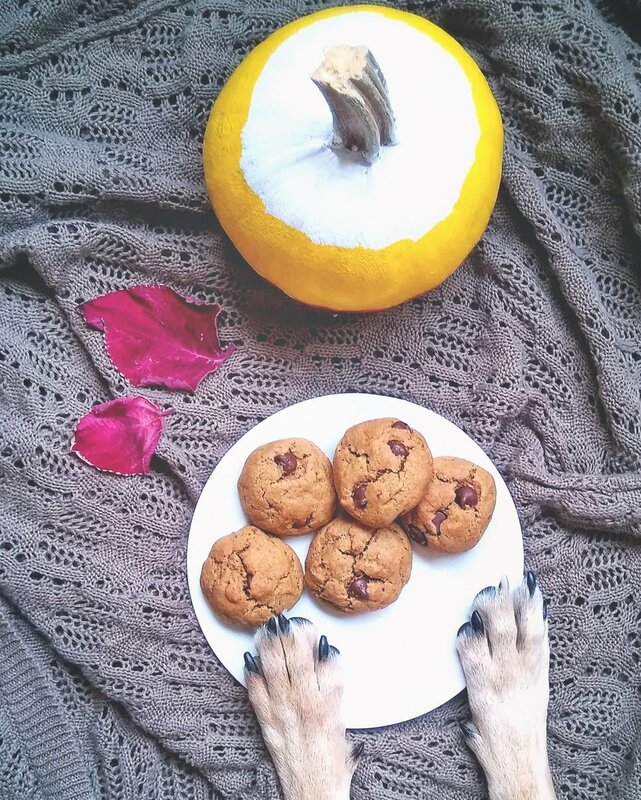 These cookies are so good, you won’t be able to keep your paws off of them! There’s something about a nice, hearty soup that just screams comfort food when the temperature drops. While this soup is hearty, comforting and tasty beyond belief…it’s also SOUPer healthy. I actually created this recipe in response to a request from Scott Sanders, Author and Creator of cancerwell.org , to come up with a cancer-friendly recipe that he could publish on his site. Sweet potato, red lentils, quinoa, turmeric and ginger are all nutritional powerhouses, so when you throw them all together you know you’re in for an ultimate health boost. Do you enjoy hearty or lighter soups more? 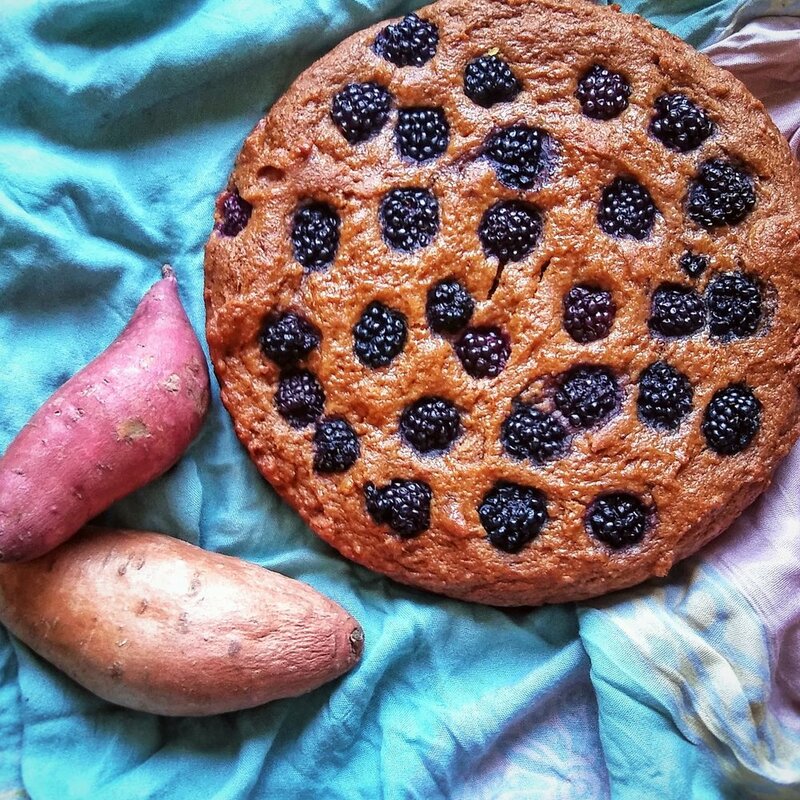 & if you make this recipe, don’t forget to take a pic & tag me on Instagram! Serve hot, warm or cold (it sounds weird, but it’s actually really good) & enjoy! SIGN UP FOR MY WEEKLY NEWSLETTER AND YOU’LL GET A LOVE FILLED E-MAIL EVERY SUNDAY MORNING WITH BITS OF INSPIRATION, HOLISTIC LIVING TIPS, INFORMATION ABOUT GIVEAWAYS AND A LINK TO EVERY NEW RECIPE I POST. Your privacy will always be respected. Cross my heart. Now, make sure to check your inbox for your free gift! Want to become an official member of The Soulfillment Tribe? Click here to join us in the private Facebook Group! Remember when you were a kid and every once in a while the beloved day would come where your parents would let you pick out a treat at the bakery? Chocolate for breakfast?! Yes, indeed! This recipe creates the perfect bowl of not-too-sweet, healthy, satisfying and delicious chocolate oats. Get ready to sink your teeth into the chocolate-iest, fudge-iest, most delicious brownies of your entire life. The other morning I went to go and make my usual bowl of oatmeal, only to discover that I was all out of oats! I had already gotten the water boiling and the fruits prepared to go on top...so on a whim I decided to try using quinoa instead. 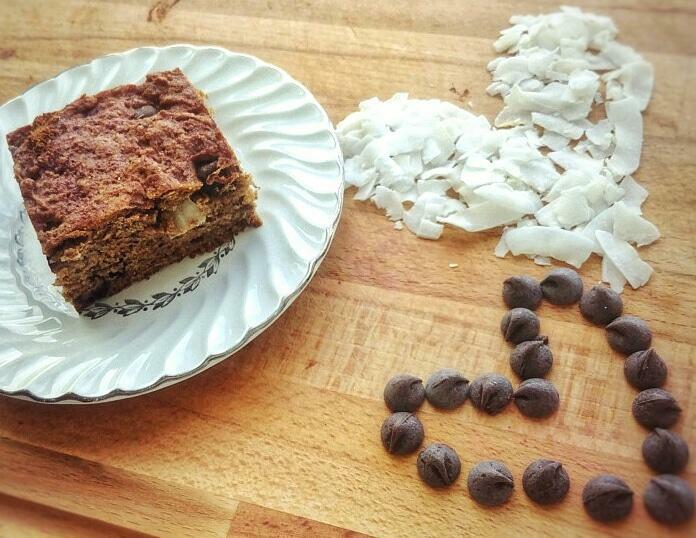 Tired of scouring the internet for a gluten-free treat that doesn't look, feel and taste like cardboard? It’s the bread you’ve all been waiting for! 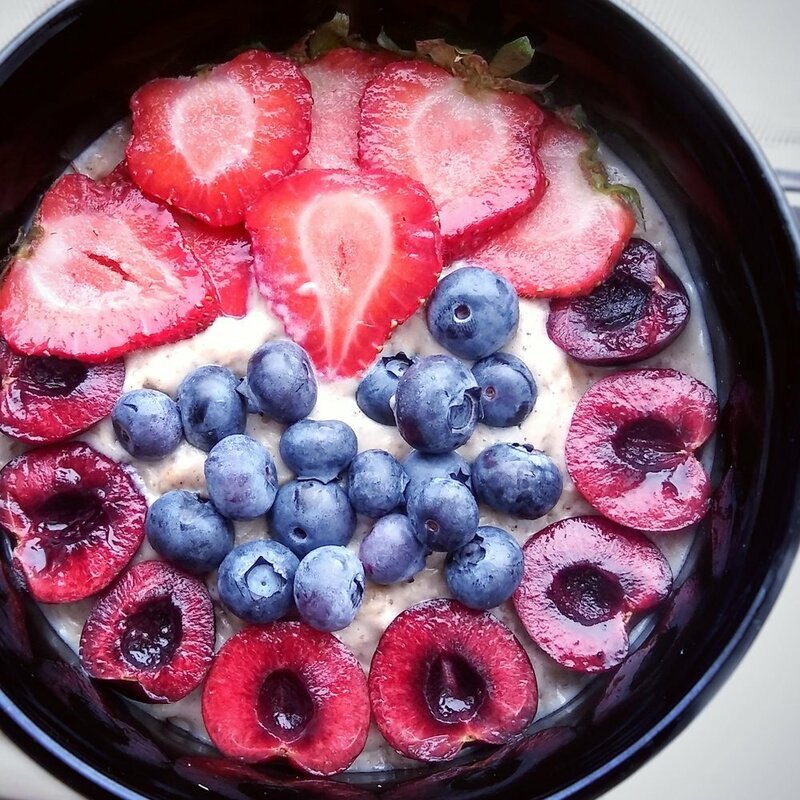 Why not start the morning off with a delicious bowl of Red White and Blue Vanilla Protein Oats? This Buffalo Jackfruit "Chicken" goes wonderfully in any Mexican style food, in wraps and salads, on nachos and sandwiches, over rice, and even in pasta! Vegan Chocolate Chip Cookies?! Yep, that’s right. 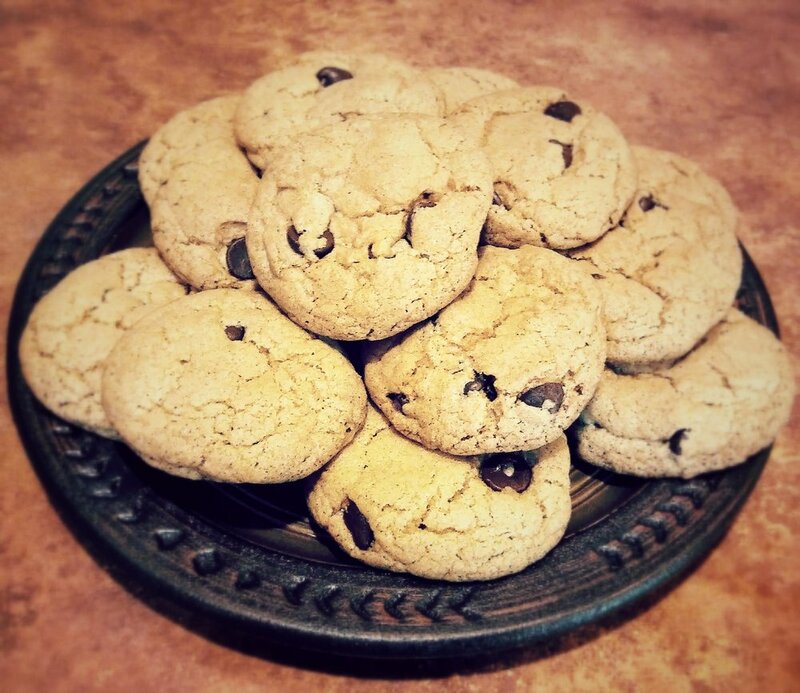 You can enjoy all the ooey, goey, warm, chocolate-y, nostalgic goodness of your favorite cookie in a cruelty free form! These cookies will have you and all your non-vegan friends smiling and feeling like a kid again in no time. IS IT BANANA BREAD? IS IT A SNICKERDOODLE? NO… IT’S BOTH! Vegan Sushi - Easier Than You Think! 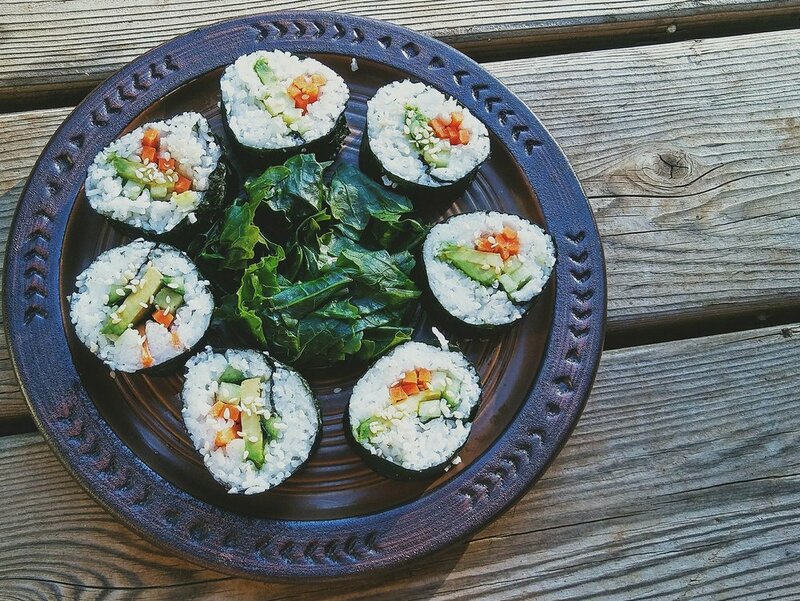 For the longest time I avoided attempting to make vegan sushi because I was convinced it was way beyond my level of expertise. I imagined that one had to be a master sushi chef/artist in order to make these little rolls of heaven….